Jurors today are deliberating the fate of a Somali-born man accused of trying to detonate a bomb at a 2010 Christmas tree-lighting ceremony, the Daily Beast reports. The big question is whether Mohamed Mohamud, who was in braces and 19 years old when he first met undercover agents, was entrapped by overzealous law enforcers. Both sides delivered closing arguments Wednesday, the Daily Beast wrote. 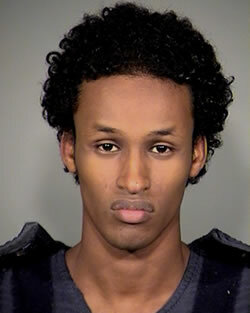 Mohamud’s attorney said his client was a vulnerable, impressionable teenager who had no intention of hurting anyone until feds approached him with the idea of detonating a bomb. Prosecutors countered that Mohamud is a serious threat because he intended to kill up to thousands of people. Posted: 1/31/13 at 8:27 AM under FBI, News Story.